I’ve heard this verse used to support Jesus’ divinity, as it hearkens back to God’s declaration to Moses, but the revelation I gained in that moment was entirely different. Picture me sitting there, stunned expression on my face, realizing that He’s saying “I AM before Abraham,” that even though He was standing there talking to them He was also, at the same time, before Abraham was born! The revelation hit me in a moment, but it took my brain weeks to process it. Throughout my days, I kept going back to the thought the way you keep returning to a pot that’s simmering on the stove. I even pulled out my concordance and sought out similar times when God made such references to Himself. You see, I’d always heard it taught that God was saying, “I am _________ (insert your need in the blank,” meaning He is whatever you need. This is all true, and lines up with the very names of God. The challenge is that Scripture isn’t two-dimensional. 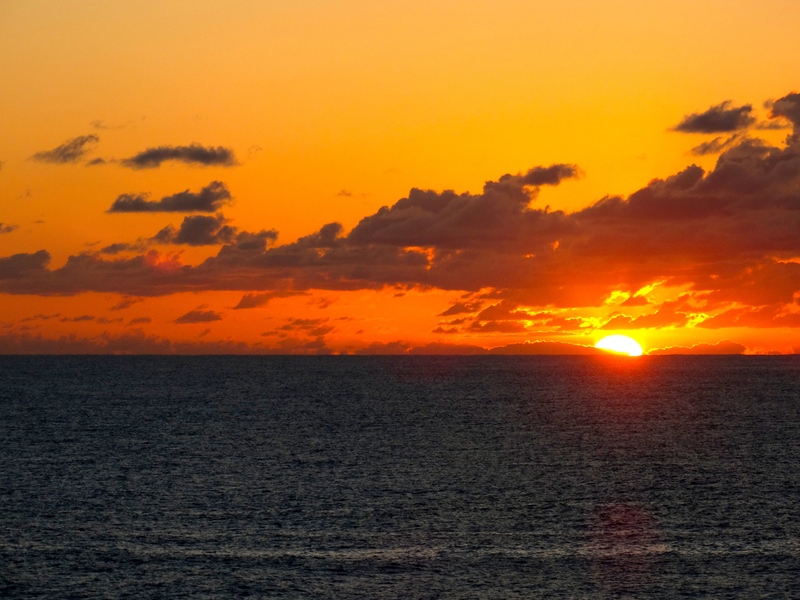 You can look at it one way today and see that it means one thing, and realize tomorrow that it means that and much more. The challenge is to keep from getting locked into only one view. As I meditated on Jesus’ declaration, God lifted another verse from the page. “Be still and know that I am God…” (Psalm 46:10) It was as if He were writing me a personal message. It’s a fact: Time is meaningless to God. Yes, we find it hard to comprehend this truth, because it’s almost everything to us, but I’m convinced that its only use to God is that it helps us keep our own lives in order. Well, perhaps that’s an oversimplification, but you get my point. Through the weeks, I slowly gained an understanding that GOD IS, that even as God IS with me as I type this, He IS also with Moses in the desert and Adam in the garden. At first, it was almost like a mental exercise. I’d been given a new piece of information and was slowly grasping what it meant, what its significance would be in my life. Like watching the sun slowly creep up over mountains, I knew something was coming. And I was actively watching for it. And then the day dawned. The letter was there. It didn’t say, “We’re so sorry,” but I really didn’t care. That was the day my prayer life radically changed, the day I realized that what I call retroactive prayers are a thing. Have you ever received a prayer request at noon for a surgery that was taking place at seven, and felt terrible because the surgery was surely over and all you could pray for was a swift healing? But you can still pray in such situations! God, who is with you when you get the request, is – at that same moment – with the person before they go into surgery, in surgery, and as they come out. Truly, since God isn’t bound by time, there’s almost no such thing as “too late” for Him. (Almost. There are definite spots in Scripture where God declares to man that time is up.) I mean that literally. We’ve heard it said that when a man is dead he’s dead, that you might as well stop praying for him. As a Protestant who doesn’t believe in Purgatory, I understand where that teaching comes from, but I don’t entirely agree. Not anymore. The fact is that the same God who is with me now is – even now – with a specific young lady I’m thinking of who died in a car wreck, and He is capable of reaching out to her in those last few moments and saving her soul. Yes, I asked Him to as I learned about her. It is true that, even at the end, she might have resisted Him, but I still have the ability, the right, to ask Him to try. He told me so Himself. I’m pretty sure that, after decades of actively serving God, I’ve heard it all. There’s one big problem with all of these statements – the word I. Want to know a secret – that isn’t a secret? Church isn’t about us, what we want, or what we like. I mean, seriously. Do you think every Israelite man wanted to make the trip to Jerusalem to worship as they were commanded to do? Man is the same throughout the ages, so I’m pretty comfortable saying, “No.” Some of those men didn’t want to make the trek to Jerusalem just as surely as many men today don’t want to make the trip to church on Sunday morning. So why did they go? Because they knew it wasn’t about them, that it was about God and the worship He deserves as God. No matter how many miles they had to walk hauling livestock for sacrifice, no matter how much they hated crowds and noise, no matter how long they would have to wait in line, no matter if they knew going in that they wouldn’t enjoy themselves at all…IT WASN’T ABOUT THEM. In 1 Cor. 12:18, we are told that God plants us in the church as He wills. We want to pick and choose our churches like we select our food at a buffet. God wants us to attend the churches He has selected for us. And yes, we may at times disagree with His choices. We may think the church is too far away, we may not like the music at all, we may resent parents letting their kids be noisy in service, we may feel we could have found a better sermon on TV… None of that matters. What matters is that God has told us, “Here. This is your spiritual home. LIVE in it.” If He hasn’t told you that, didn’t lead you to the church you’re in, go talk to Him about it. Now. If He did lead you to your current church, He put you there for at least one reason. Just like a good gardener studies soil content, sunlight, and other factors before setting a prized plant in the ground, God carefully selected where He planted you. If you dislike things about where you are, don’t whine about it to the other plants or, worse yet, try to dig up your own roots and move. Talk to Him about it. You may well – probably will – be surprised by what He has to say. He may be pointing out needs in the church that He wants you to help meet. He may be working on expanding your horizons of what you like. He may point out that you don’t eat only two meals a week and shouldn’t rely strictly on your pastor for your spiritual nourishment. He might simply explain that it’s time you get over your self because church isn’t about you at all. It’s about Him. It’s about bringing our week-wearied bodies to the sanctuary as a sacrifice of worship. It’s about lifting our hearts to Him in worship and praise whether the song is a hundred years old or ten minutes old. It’s about intentionally ignoring distractions and focusing on what He is trying to say to you – not only through the sermon, but through every part of the experience. When we shift our focus off ourselves and whether or not someone in pre-worship fellowship took the chocolate-covered donut we wanted, and turn it to the One who is the whole reason we are on this planet in the first place, our walks with God will change radically. I did an in-depth study many years ago and reached a very important conclusion. WHAT I do is important. Getting into God’s Word, learning what He wants me to do, and making sure I do the right thing… Important. But even more important than WHAT I do is WHY I do it. In other words, motivation is everything. God doesn’t just want our actions to be right, our appearance and performance to be acceptable; He wants our hearts to be right. I can go to church, hug my neighbors, raise my hands in worship, give liberally in the offering… but if my heart isn’t in it, if I’m only going through the motions so I’ll look good to others or satisfy some legalistic need inside of me, I’M WRONG. PS: The verse in the graphic is from the NLT. I’ve shared before about the great value I find in reading through the Bible, and I’m currently reading it through again. 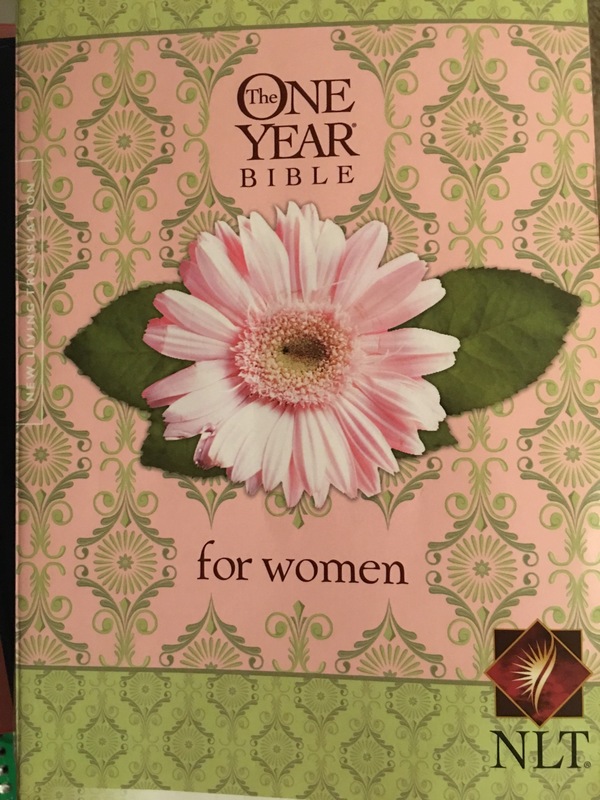 This time God had me pull out The One Year Bible for Women in the New Living Translation. I’ve never even considered reading this format before. I felt it would make for too choppy a read, that it would interrupt the flow of the text to such an extent that I would get little out of it. I was mistaken. This Bible offers itself up in daily readings that include passages from the Old Testament, the New Testament, Psalms, and Proverbs. I’ve discovered that this works quite well as no one section is so long that it gets boring, and having Psalms and Proverbs broken up into such small bites really gives them the attention they deserve. I still believe it’s vitally important to read through the Bible chronologically at least once, preferably two or three times, but I had to come confess that I find this to be an exceptionally good reading plan as well. In reading Exodus 15:16-32, we see one phrase repeated many times. …just as the Lord had commanded him. Moses is setting up the Tabernacle and we see in these words that he has learned a great truth. We aren’t called simply to do what God tells us to; we are called to do it “just as the Lord has commanded.” It is for us to live our lives not by our own standards, but by His. Then the cloud covered the Tabernacle, and the glory of the Lord filled the Tabernacle. Moses could no longer enter the Tabernacle because the cloud had settled down over it, and the glory of the Lord filled the Tabernacle. Oh, that we could reach this place! We sing this song in the present tense, and I recently realized the importance of doing this very thing. We may not wear literal crowns today, but most of us have areas in which we feel we rule, parts of our lives in which we take pride (often rightfully so), places where our “hat” is a crown. When we lay everything else at Jesus’ feet–our burdens, our brokenness, our sickness, our pain–we should lay these crowns at His feet as well. In doing this, in submitting one’s whole life to Him, you see those strong places strengthened even more; also, when you recognize that no matter how much you “rule” in an area it is He who reigns supreme, you steer clear of the sin of pride. It is far better to lay one’s crown down that to have it removed as a result of sin. Verse 4 of this chapter discusses that God has given us precious and exceedingly great promises so that we can “escape from the moral decay of the world” and “become sharers of the divine nature.” It is for this reason that we do all that the following verses call for us to do. Half-hearted participants need not apply! So we employ every effort in exercising our faith. Ministers often compare faith to a muscle and it seems God surely uses it in this way here. Faith is something that we must exercise continually if it is to become stronger. Most think of exercising their faith for things—cars, jobs, etc.—but God says clearly that there is one thing so important that we are to put forth every effort to exercise our faith to develop it…and that is virtue—excellence, resolution, Christian energy. One might ask why it takes faith to develop such virtue, but most probably wouldn’t question once they’d really thought about it. It does take a definite effort in exercising my faith for me to develop this virtue, this excellence, this resolution, this Christian energy, this (according to the New Living Translation) moral excellence. In my head, it see it as a simple decision, but in practice, when faced with certain choices, it takes an active effort of faith to take the step in the right direction instead of the wrong one. So virtue is like a muscle too, in that to develop properly it must be exercised, and as we exercise it we develop knowledge. So as we exercise virtue, living lives of moral excellence, we come to know God better. Now there is a motivator! So one of the natural results of growing in the knowledge of God or, perhaps more accurately, one of the first things we see we must develop as we come to know God better, is self-control. Self-control is a big issue among Christians today. We all seem to be continually working on self-control in one area or another, be it eating too much, cursing, losing our temper, judging others…whatever. Many who have little self-control despise their own weakness, but do not know how to combat it. Here God gives the answer. Exercise your faith to develop moral excellence (virtue), exercise this moral excellence and get to know God better, and develop/exercise this knowledge of God. So, since one thing leads to another, where does self-control lead? It is tremendous to realize that exercising self-control actually leads to developing cheerful or hopeful endurance, to developing constancy. I love that it is not endurance alone, which can be a miserable thing, but is endurance that is cheerful or hopeful – both of which, by the way, are characteristics of God. So as we come to know God better, He rubs off on us, yes? And constancy! Someone who is constant is the same at all times, unwavering. This reminds me of Jesus, who is the same yesterday, today, and forever. Constancy is definitely an attribute of God. Ah…now we are getting truly close to being genuine partakers in the nature of God. Surely knowing that we can reach this place is sufficient motivation to encourage one to exercise faith to develop virtue. It is easy to see that as we grow in this process, this absolutely necessary process, the moral decay of the world becomes less and less appealing. It is easy to escape a trap when you are headed swiftly away from it. Brotherly love is love for other Christians and it saddens me to see it so far down on this list. It does not surprise me, however, for the God kind of love cannot really operate where there is no virtue, knowledge of God, self-control, or constancy. Indeed, the low level of brotherly love found in some churches is a sure sign that at least part of the body of Christ is not working their way through this process of growth. All too many don’t know God as well as they likely think they do. Far too many exhibit the symptoms listed later, in verse 9.
and in [exercising] brotherly affection [develop] Christian love. And here it is…perhaps the hardest of all. If we are to be sharers of the divine nature of God, who is love, we must love. If we love, truly love, those who surround us—ALL those whom God loves—we must be willing to lay down our selves and share HIM with them. On the surface, this is obvious. In practice, how often do I do it? I must confess that I don’t do it nearly as often as I should. Jesus, motivated by love, laid down His life for all of us, from the best to the worst. Who are we to claim the right to do less? If we are afraid to witness we don’t love enough, because perfect love casts out fear. That is a humbling thought. I want to be productive and useful. I don’t want God to refer to me as being idle or unfruitful! He paid an unimaginable price for my salvation; even if there were no promise attached, I would owe it to Him to use what He has given me. I have known Christians like this, people who could not recognize a spiritual truth if you put it in front of their noses. Obviously, according to this passage, the only cure for this spiritual blindness is to start making every effort to exercise their faith to develop divine virtue. Spiritually speaking, this is exceedingly dangerous. God can show us many things ahead of time if we have the eyes to see them. The shortsighted person does not have this benefit. and has become oblivious [to the fact] that he was cleansed from his old sins. And he who is oblivious to the fact that he was cleansed from his old sin is far too likely to return to it. Down that path lies the moral decay of the world and a complete inability to be a sharer in the divine nature. This should never be the condition of one who has been called out as a child of God, but for too many, for those who refuse to make the efforts God calls for us to make, it is inevitable. He says so.